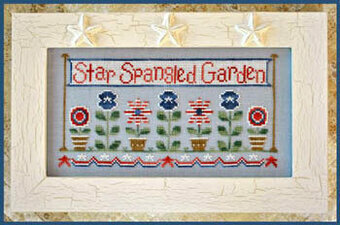 "Star Spangled Garden". 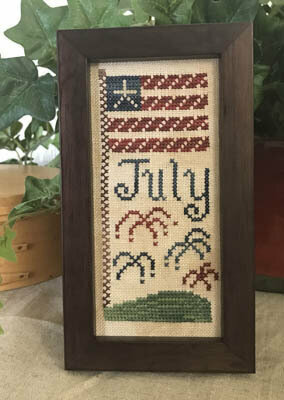 Model stitched on 28 Ct. Country French Blue linen with DMC floss, Crescent Colours Floss, and Weeks Dye Works (or all DMC white-need 2, 347, 158, 3363, 420). 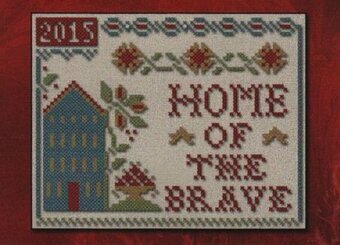 Stitch Count: 135W x 69H. 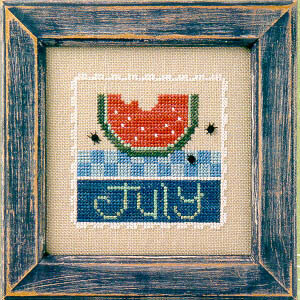 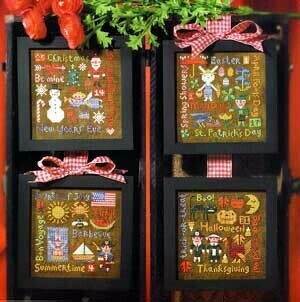 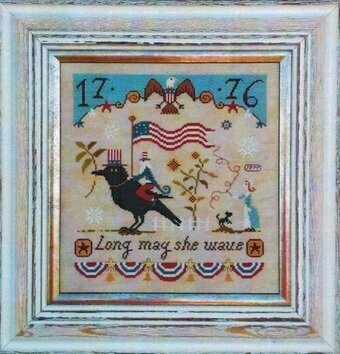 Shown in a frame from The Family Tree - Style: Sean, Finish: Fleamarket, Color: Icing, Size: 11" x 6". 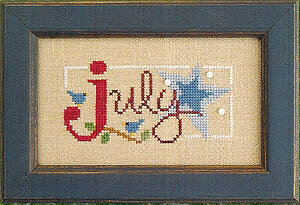 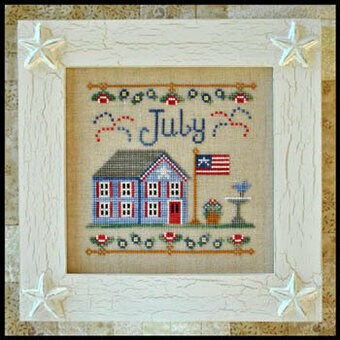 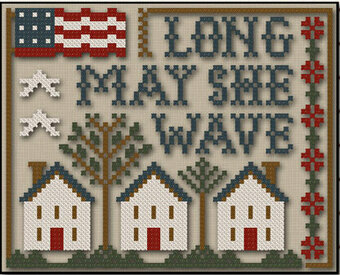 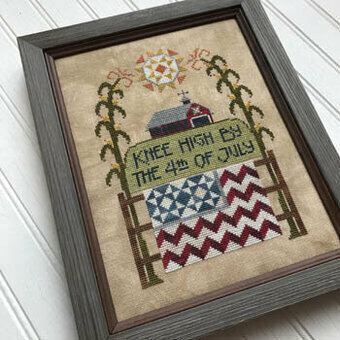 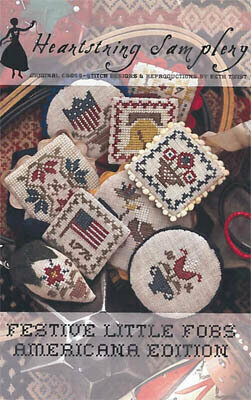 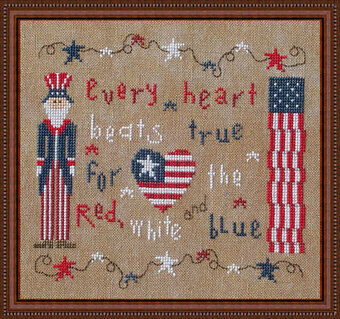 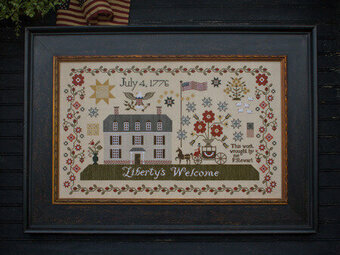 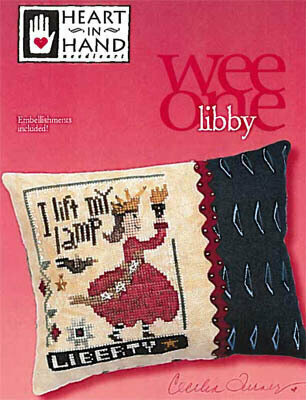 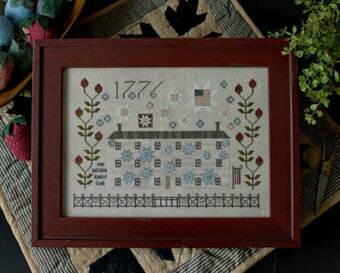 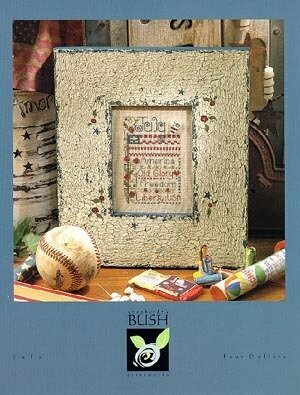 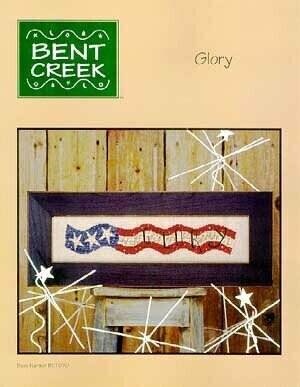 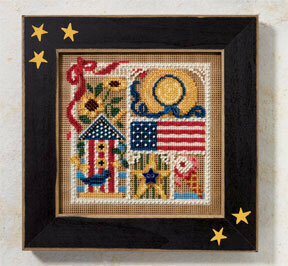 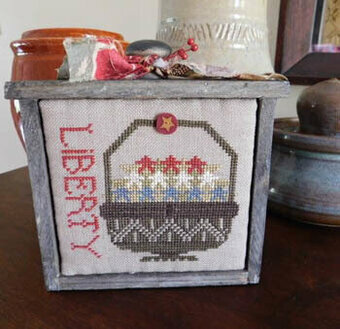 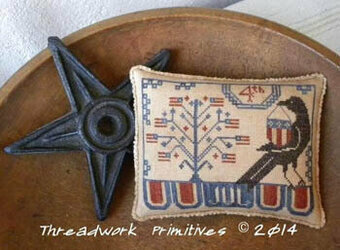 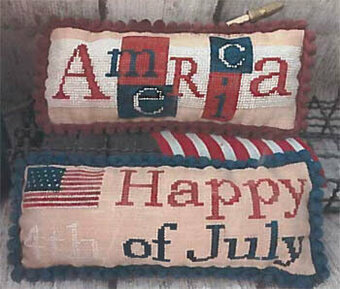 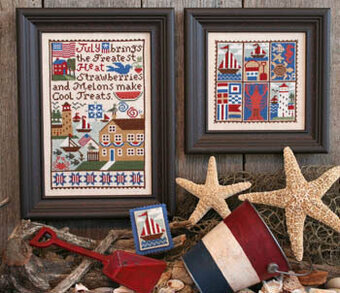 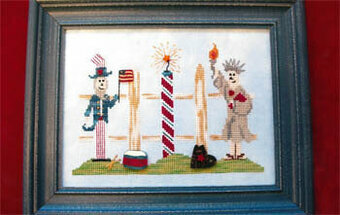 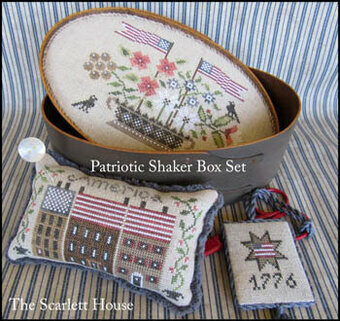 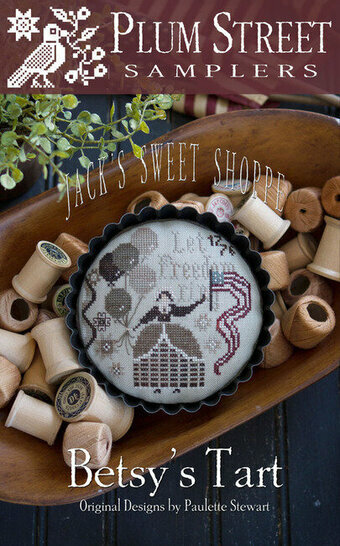 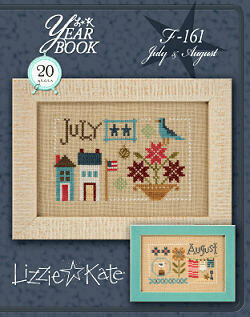 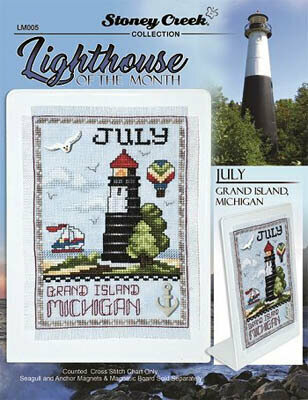 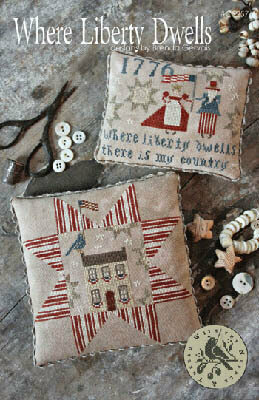 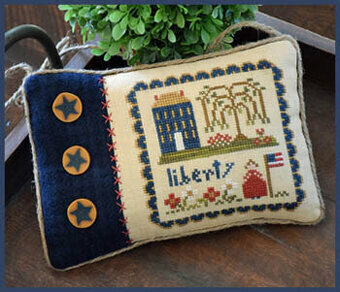 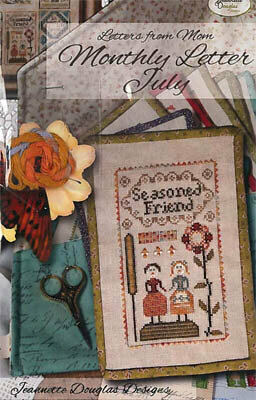 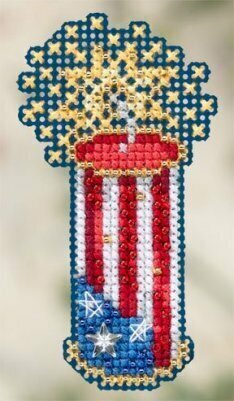 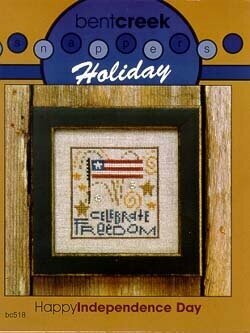 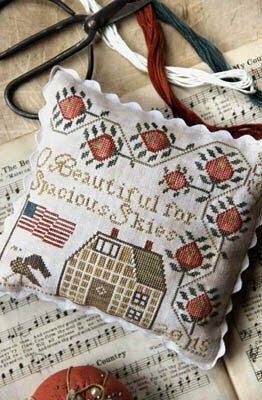 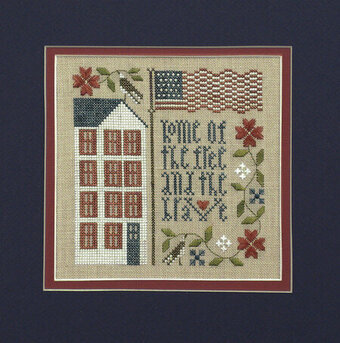 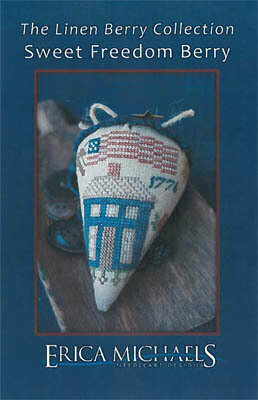 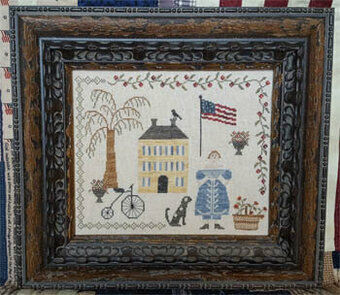 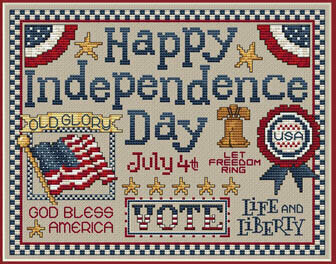 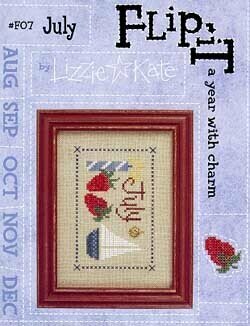 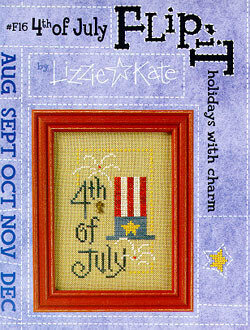 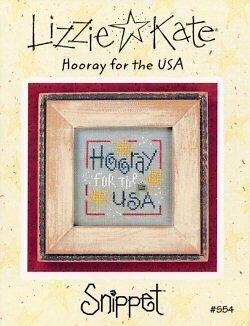 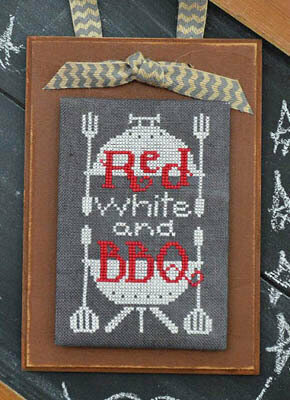 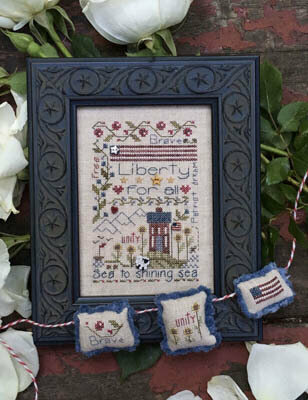 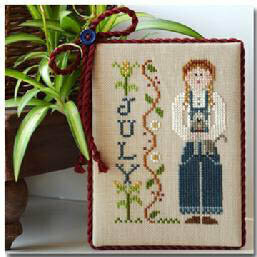 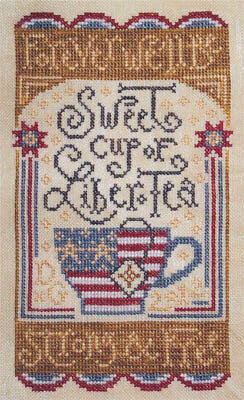 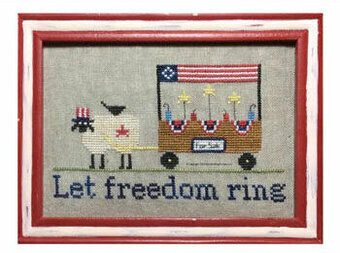 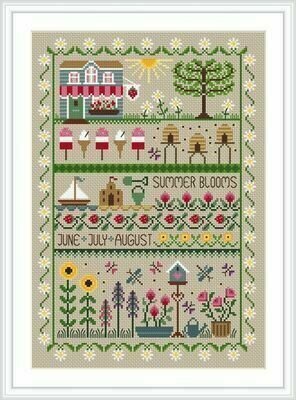 "1776" Model stitched on 36 Ct. Vintage Maple Sugar by Lakeside Linens using Gentle Arts Sampler threads. 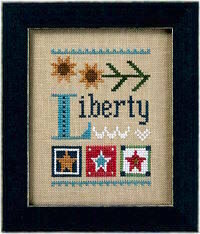 "Liberty" Model stitched on 30 count Confederate Gray linen (9x9 square) using Weeks Dye Works and Just Another Button Comapny (3514S).